Are you ready Las Vegas? This looks like it is going to be pretty epic! 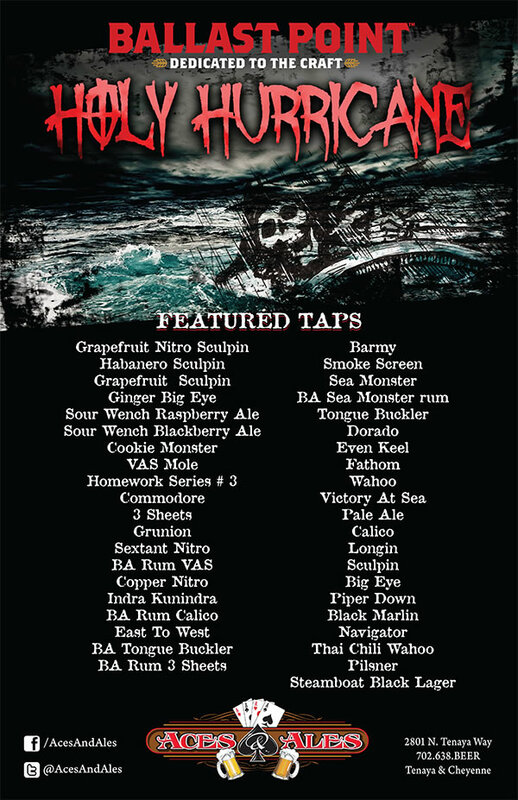 Ballast Point ‘Holy Hurricane’ Tap Takeover! 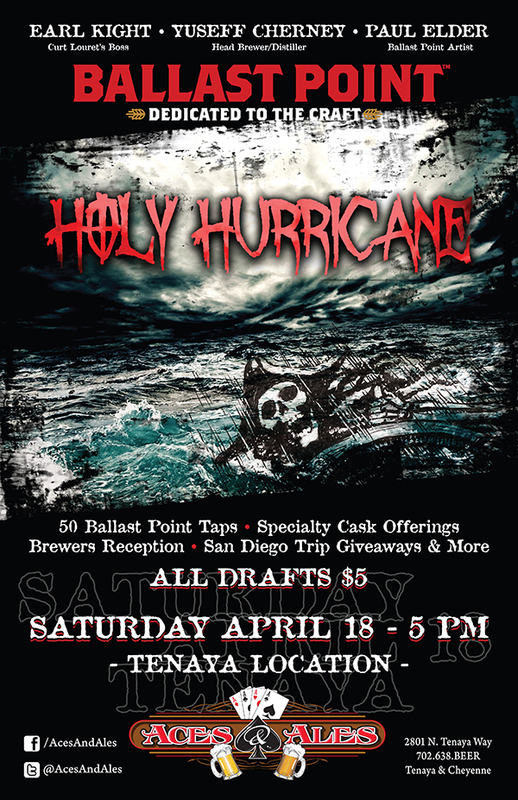 SD Trip Giveaway & Brewers Reception Specialty Cask & Ballast Artwork Raffle! Meet Ballast Point Ballers ‘Yuseff Cherney’ (Yes, The Creator Of Sculpin! ), ‘Earl Kight’ & BP Artwork Illustrator ‘Paul Elder’. Paul Will Be Creating A Special Artwork Piece LIVE During The Event That Will Be Raffled Off, As Well As Other BP Specialty RARE Artwork! This entry was posted in Menu and tagged #beer, #beerzombies, #dtlv, #lv, #zombies, acesnales, ballast point, craft beer, holy hurricane, las vegas by beerzombies1. Bookmark the permalink.